Should I Teach Computer Programming in My Homeschool? Yes and No. Overwhelmingly yes, because future programmers will come from homeschools that taught computer and technology courses. And no, because your homeschool student can self-teach computer programming skills. Feel free to sit this one out, Mom and Dad. 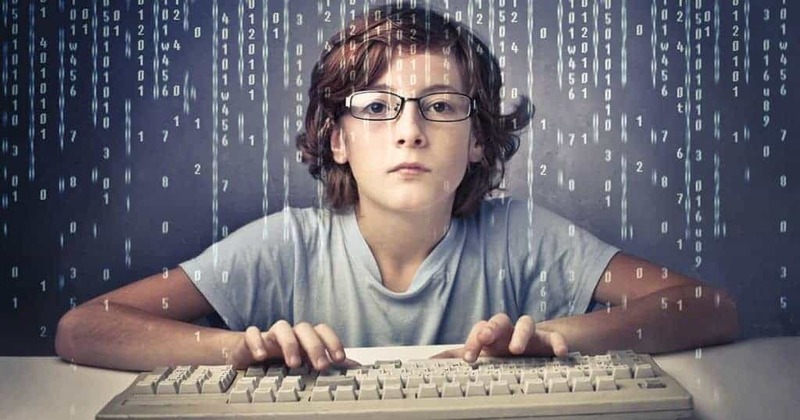 And best of all, the internet offers world-class courses and materials which you can use for a homeschooling computer programming curriculum for free. Like Morpheus in The Matrix, I’m about to give you the red pill of truth: Future programmers will not come from the college system, but from the homeschooling system. If you’ll give me a chance and keep reading, I’ll explain why this is the case, how employers evaluate self-taught individuals in hiring and how to prepare your children to make six-figure incomes without having to blow the bank on a college education. This isn’t a new phenomenon. Silicon Valley is already hiring self-taught individuals, from India, the Philippines, and even here in the United States. There is very little difference from the concept of being self taught and being homeschooled. I’ve worked in Silicon Valley as a software security expert (for Google), and I’ve also taught computer science in college. Eventually, I got into the tech-startup space. But at both Google and my various startups, I was in charge of hiring new talent. If a candidate had a degree from a university, it was more of a detractor than a positive. When I worked at Google, HR prefered college grads, but I would always try to work around that and hire the self-taught candidates. When I ventured out on my own in the tech-startup space, I avoided people with degrees like the plague. But why? The main reason is that someone who spends, say, two years studying on their own, and another two working on real problems by contributing to open-source projects will have put much more time into learning the craft of programming than someone who went to university for four years, studying irrelevant topics half the time, and perhaps partying too much. The second reason is arrogance. To really learn programming requires that one struggle with trial and error in a humble manner. This means sitting down and doing a ton of Google searches as you grind out a problem. And most of the time these are mundane matters, not high level algorithms to solve. But the really valuable experience one can gain in software development comes from being able to quickly work through the mundane problems. A good understanding of complex algorithms may save someone an hour here or there, but the bulk of the time a programmer is dealing with the mundane problems. Graduates from top universities can tend to think they’re too good for the grunt work, but self-taught individuals rarely have that problem. So because of this, the growing trend in software development is to move away from placing value on degrees and certifications in favor of valuing experience and real-world results. Arguably, there is no longer any need for a computer science degree from a university. And a master’s degree is even more of a red flag. The business world is looking for doers, not studiers. And that’s why homeschooled students whose parents add programming to the curriculum will have a great advantage over students at both public and private schools. So how can a homeschooling family prepare their students for this new reality? The first answer is to simply teach them programming. This is one reason why I launched Mathbot.com; and there are other great resources out there too, like Free Code Camp. We’re in a new industrial revolution where programmers are analogous to the mechanics of the industrial revolution. Programming and math are now the most valuable skills for you to teach your children. Non-software companies are now hiring developers at a faster rate than software companies. The second answer on how to deal with this new reality is to learn to network with and impress the people who hire programmers. Many people looking to hire are active in the open-source community, producing free software available for other developers. Open-source projects are always a meritocracy, meaning it doesn’t matter what your pedigree is or where you went to school. Only your problem-solving skills matter. The key to understanding networking with individuals in the position to hire is that we want irritating problems solved for us. Business owners value convenience over anything else. If you can solve an irritating problem for a business owner, and eliminate it from their mind space, you will earn an immense amount of appreciation and loyalty from them. And you’ll then move yourself to the front of their mind when a new problem pops up for them. That can mean paid freelance work, or even a full time job. The latest example of this in my life is Daniel from Brazil. Daniel is a fan of my YouTube work, and was very interested in the problems I’ve been working on. He realized I could be useful to him, so he took the initiative to grab a random problem that was bugging me: converting my YouTube videos to audio podcast format. He did a couple hours of research, solved the problem and removed that irritation from my mental capital. So I made him a contributor to Mathbot, and he’s now top on my list whenever I need work done. All you really need is the skill and initiative to solve these types of problems for business owners. The best way to get the skill is self-teach. Homeschooling is another great option—where children are taught by teachers who love them. You simply can’t get that same kind of care from a stranger. Parents now just need to understand the importance and tremendous value in teaching their children programming. I’m certain that within a decade, there will be four Rs of learning: Reading, wRiting, aRithmetic, pRogramming. Do your children a big favor and add programming to their curriculum. There are plenty of free resources out there, and there will be immense income-earning opportunities for homeschooled kids whose parents have guided them in this direction. MathBot: Learn programming in four commands (step forward, turn right, pickup, and put down) so you’ll be crushing problems in under three minutes. FreeCodeCamp.org provides free coding lessons and experience. You work on real work solutions for non-profit agencies. Brought to you by GitHub.com: 500 free computer programming e-books. GirlsWhoCode.org is geared to junior high and high-school-aged girls. The site pairs instruction and mentorship to “educate, inspire and equip” girls to pursue their engineering and tech dreams. They offer summer immersion programs. Learn to code in the car. Your kids can turn road trips and commutes to co-op and church into coding time with the free app SoloLearn. See the available courses at SoloLearn.com. Code.org gets early elementary students coding with Minecraft, Elsa from Frozen and Star Wars. Offerings include “unplugged” computer science lessons done without computers, helping students understand concepts. The site also offers parental tutorials. Find 28 Days of STEAM (the “A” is for “art”) as well as printables and some literature tie-ins at LeftBrainCraftBrain.com. 25 Free and Low-Cost Coding Websites, Apps and Courses for Kids.